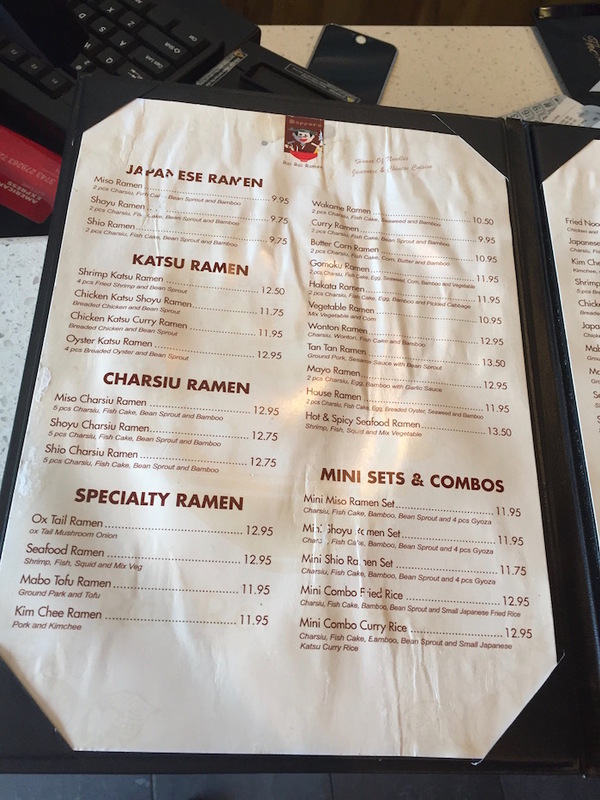 Even though it was getting pretty hot by the end of the bike ride, it’s never too hot out for ramen so we hit up Rai Rai Ramen in Somerset. Besides the low sodium ramen option, what I really like about this restaurant are the Mini Sets & Combos. If you’re like me, making the decision between noodles and rice or noodles and rice and soup is difficult. Enter the Mini Sets & Combos. Rai Rai Ramen offers five options that include a bowl of ramen and either four pieces of gyoza or a rice dish. On my first visit, I chose the Mini Combo Curry Rice, charsiu, fish cake, bamboo shoot and bean sprout ramen with a small Katsu Curry Rice. All for $12.95! And yes, I still brought home leftovers. I think my only complaint is that none of the Mini Sets & Combos feature ramen with a soft-boiled egg. To me, it’s not really ramen if it doesn’t have an egg. However I would still order the Mini Combo Curry Rice again. The ramen wasn’t too salty and the katsu was crispy with a nice garnish of pickled ginger. This time I went for the Gomoku Ramen and got my egg! 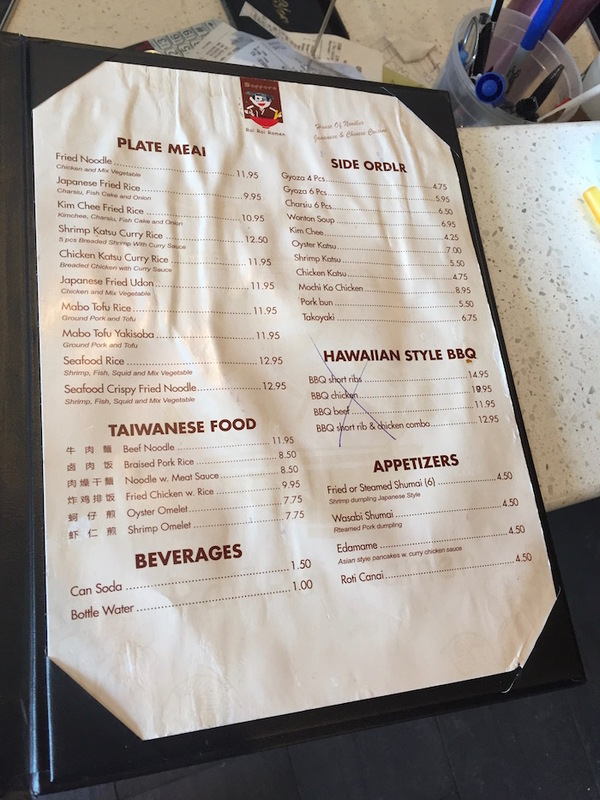 My curiosity almost led me to order the Butter Corn Ramen (when they list butter as an ingredient, do they just drop a pad of butter into the broth??) but it didn’t come with an egg. The Gomoku Ramen was very good—it had both corn and an egg so I was happy. My father and I are the ramen fans in this household, unlike my mother. She went for the Chicken Katsu Curry Rice, which I had a smaller version of the first time I came to Rai Rai Ramen. She wasn’t as thrilled with it but she’s definitely pickier than I am when it comes to Asian food. My brother went for plain old Vegetable Ramen and I believe my father chose the House Ramen. We also ordered the Roti Canai and Pork Bun appetizers. The Pork Buns were tasty as usual but the Roti Canai wasn’t as good as other places. Oh and just in case you’re expecting pork buns like 叉燒包, these pork buns are the pork belly buns. Rai Rai Ramen is also known for its Mochi Ko Chicken appetizer, pictured on the top left. It seems many people enjoy it but my father and I weren’t particularly impressed. We both prefer the Korean fried chicken at Boom Boom Chicken in Edison. We finished up the meal at home with a cake baked by my mother. Peanut butter cake with peanut butter frosting. It was very filling and very, well, peanut buttery. It needed something fruity so my dad and I ate it with jelly. Slices of banana or strawberry also would have been a nice addition. All in all, I think it was a memorable birthday. And in just a few short weeks is Father’s Day and my brother’s birthday! If you want the low sodium broth at Rai Rai Ramen, make sure to ask. The servers don’t always remember to tell you that it’s an option. At the time of writing, Rai Rai Ramen still doesn’t have an online menu so I’ve posted some quick shots of the restaurant copy here and here. Don’t want to drive your bike all the way to Duke Farms? Never fear, bicycle rentals are available! The Bikeshare Service allows renters to borrow one of sixty bikes for two hours. It costs $5 and you don’t even have to bring your own helmet.